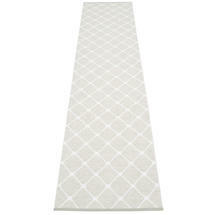 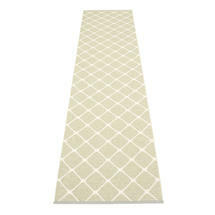 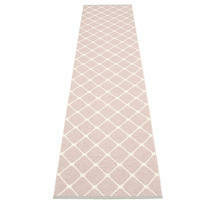 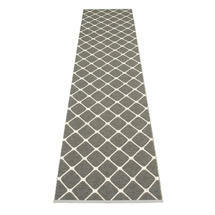 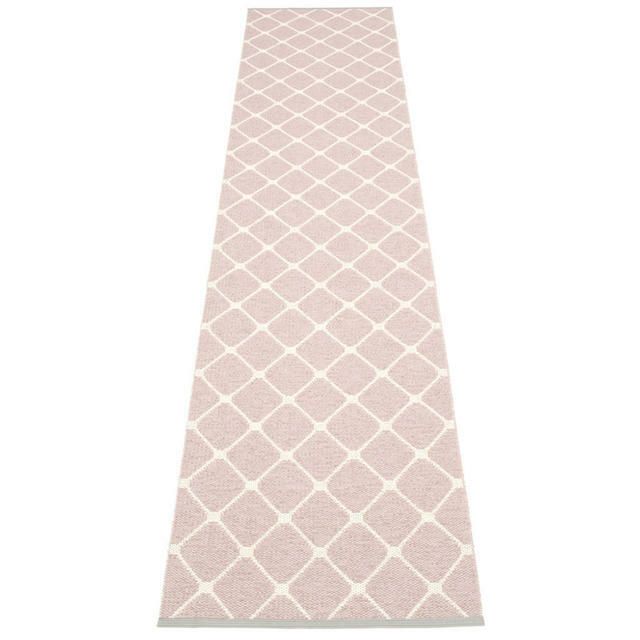 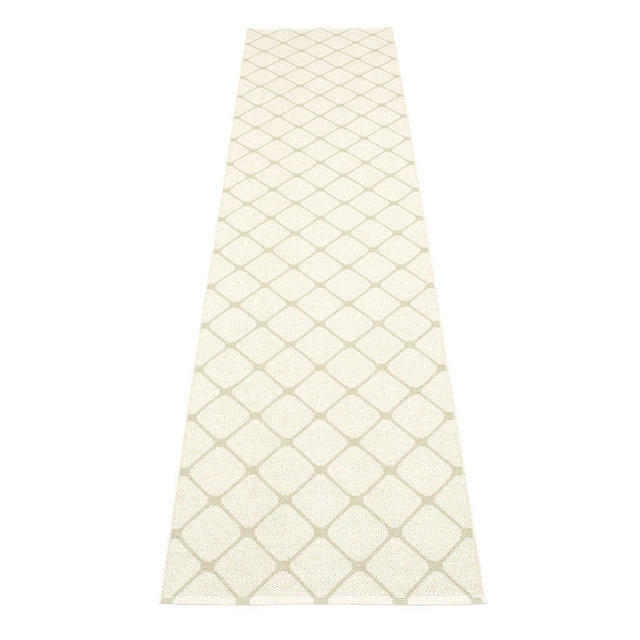 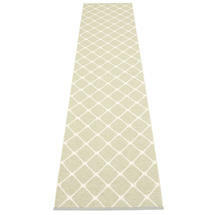 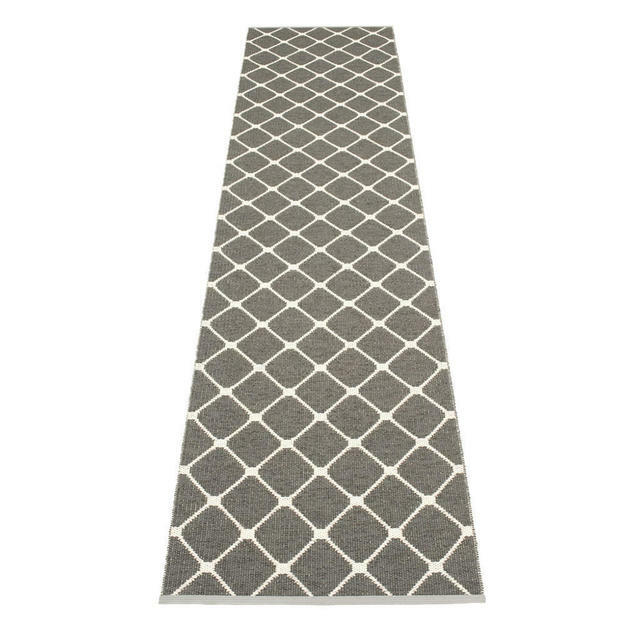 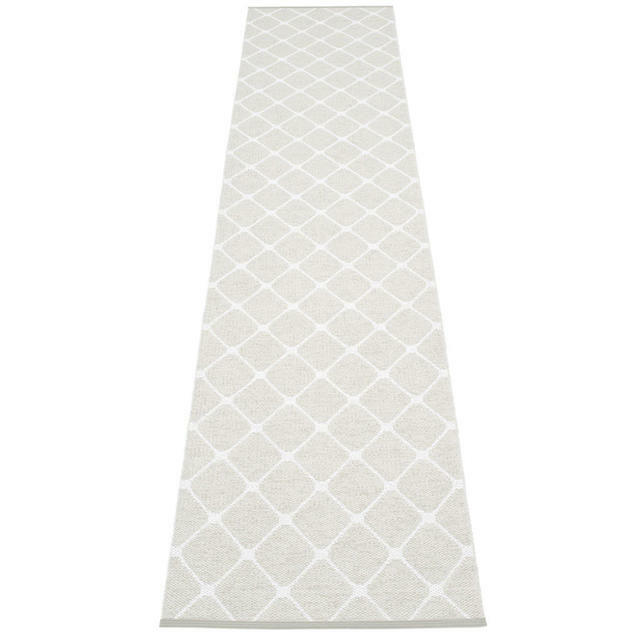 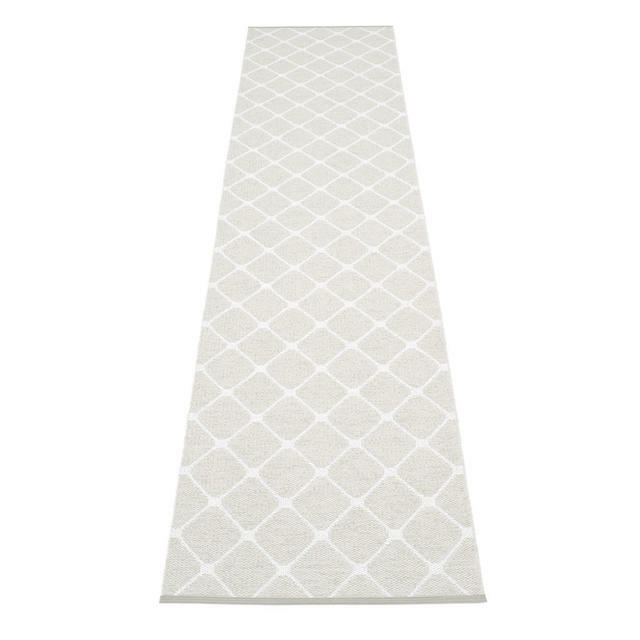 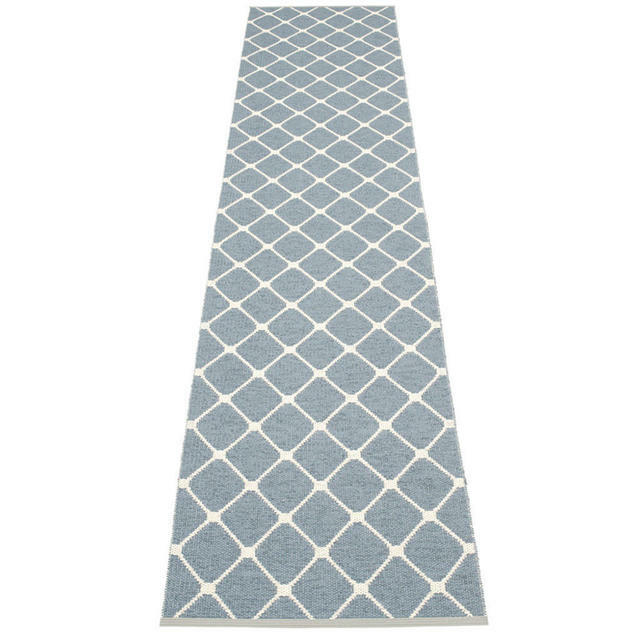 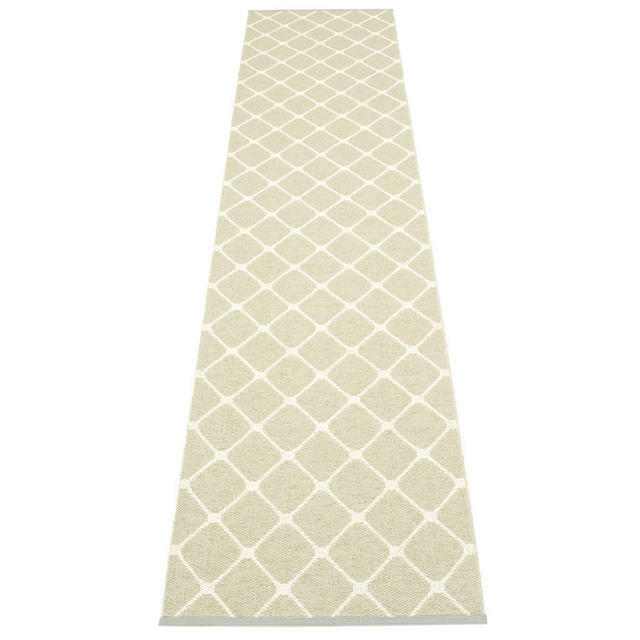 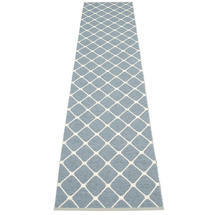 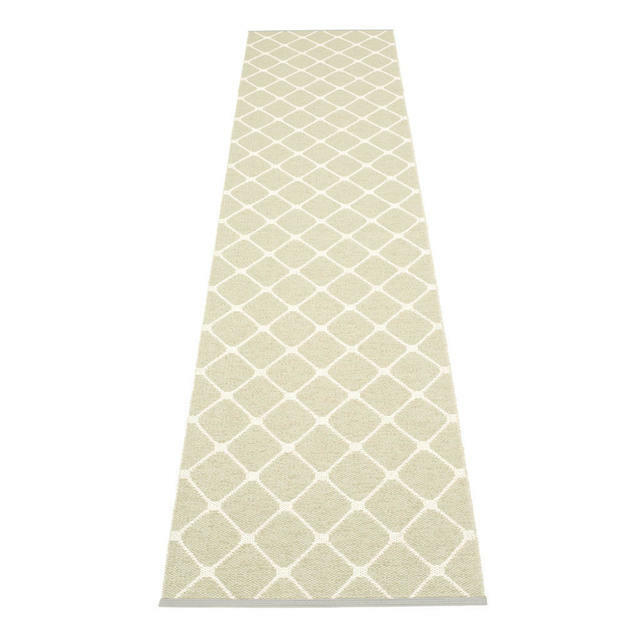 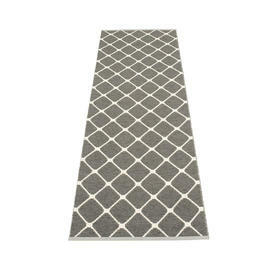 Long, soft underfoot outdoor rugs. 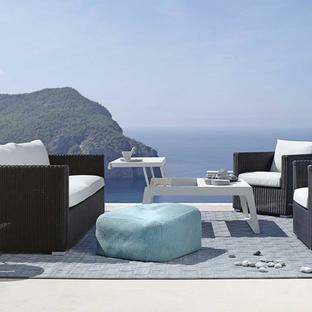 Woven in Sweden using gorgeous colours and patterns but using traditional techniques, these outdoor rugs take the concept of the classic PVC rug to a whole new level. 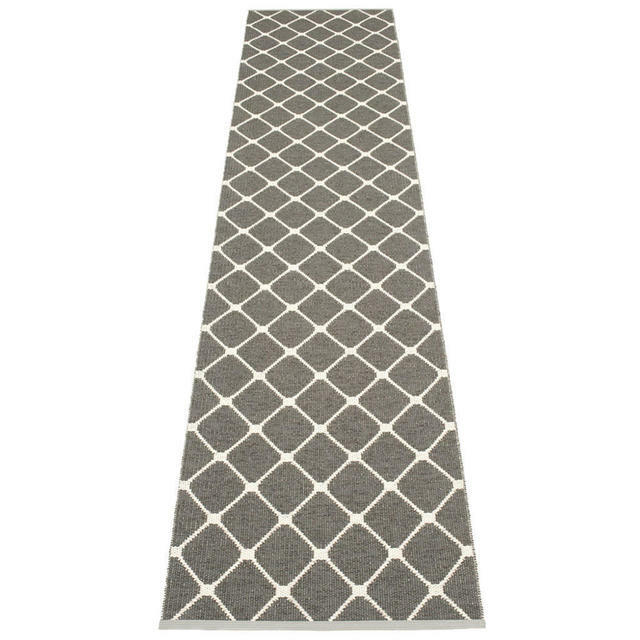 The Rex runners are elegant and stylish - choose from the soft tones from cool charcoal to relaxing seagrass or timeless soft grey fossil. 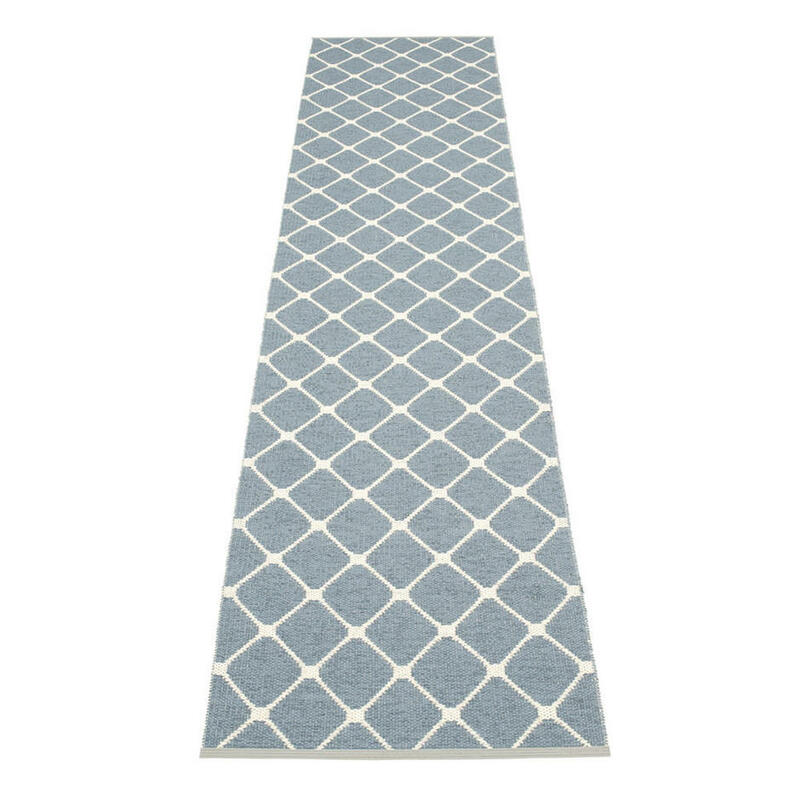 Because of the way the rugs are woven, the Rex runners are 2 sided, with the reverse colour showing on the underside - so 2 designs for the price of one. 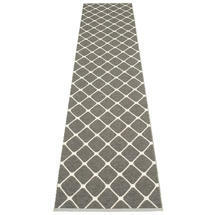 If you need a smaller size see Rex outdoor runners. 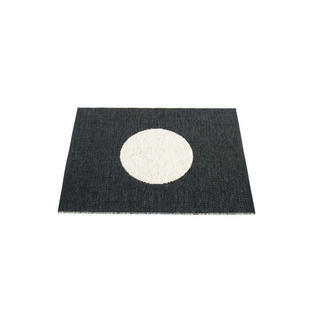 Made in Dalarna, Sweden. Woven on a traditional loom using wooden shuttles. 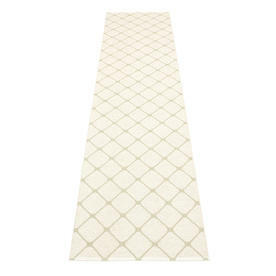 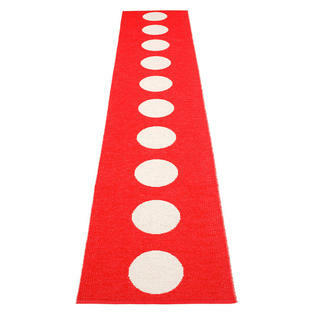 Very practical and easy-to-care-for rug manufactured in Swedish PVC.